GWW 15 – The Walkers! Lovely walk through the oldest lake gardens in Malaysia. 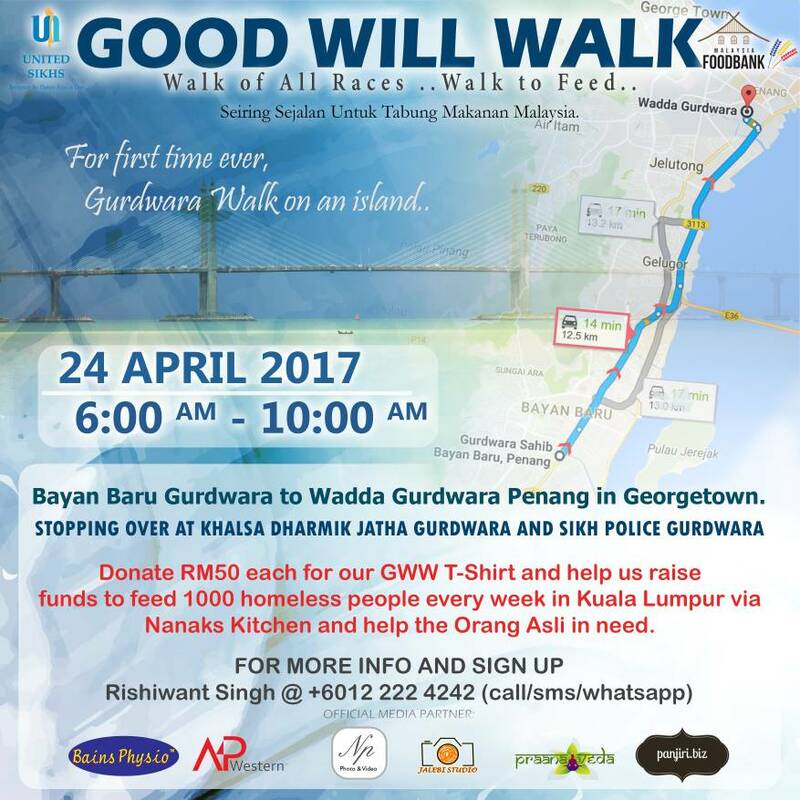 Let's do a Good Will Walk from Muar to Melaka.. Siapa nak join? It has several chapters around the world including Malaysia. 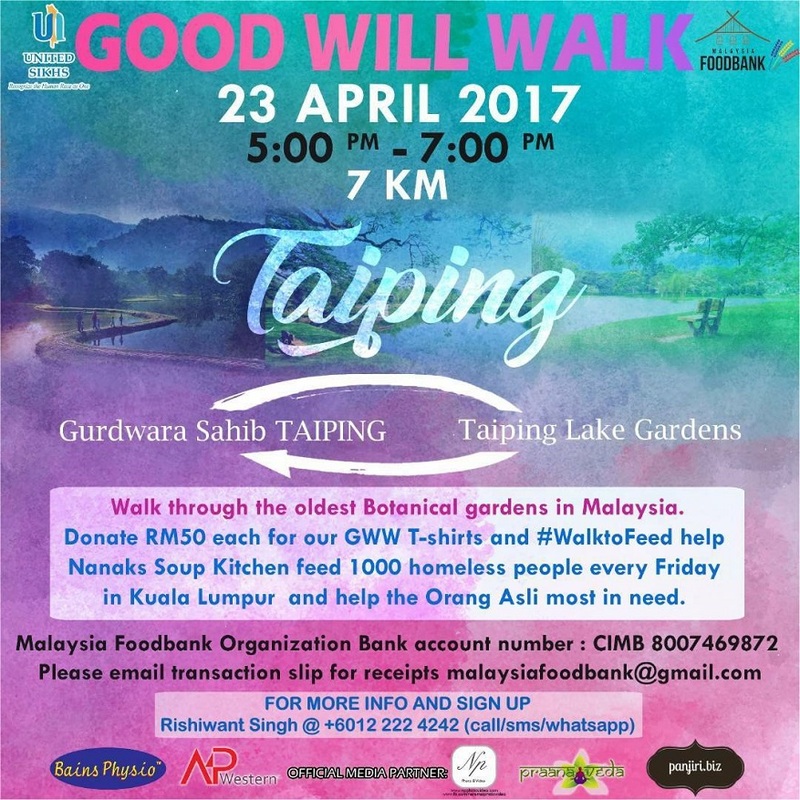 #GWW is also co-organised by the Malaysia Foodbank Organization, a NGO that aims to provide food and support to individuals, homes and organization that require assistance, irrespective of race, religion, caste, creed and nationality. To this date there have been 4 Main Annual Good Will Walks held since its inception in 2014. 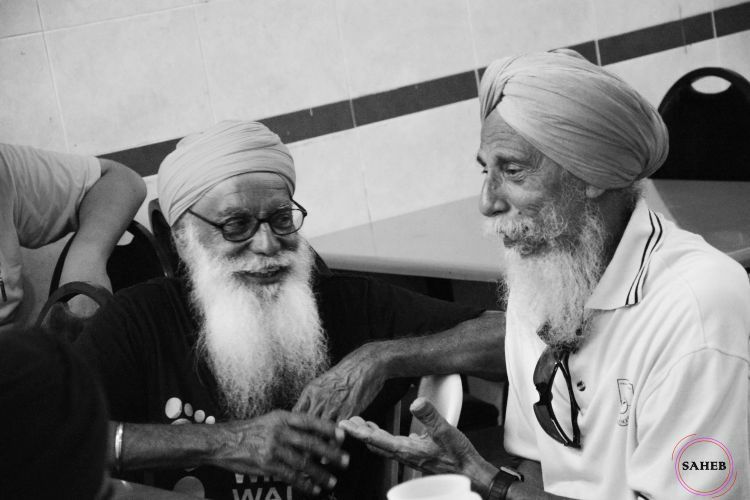 GWW2014 - In May 2014, We walked from Silat Road Gurdwara in the South of Singapore all the way to Gurdwara Sahib Melaka in conjunction with the annual memorial of a great saint Sant Baba Sohan Singh who fed Guru Ka Langgar, Community Kitchen to all races during the Second World War from 1941 to 1945 in Gurdwara Sahib Melaka. 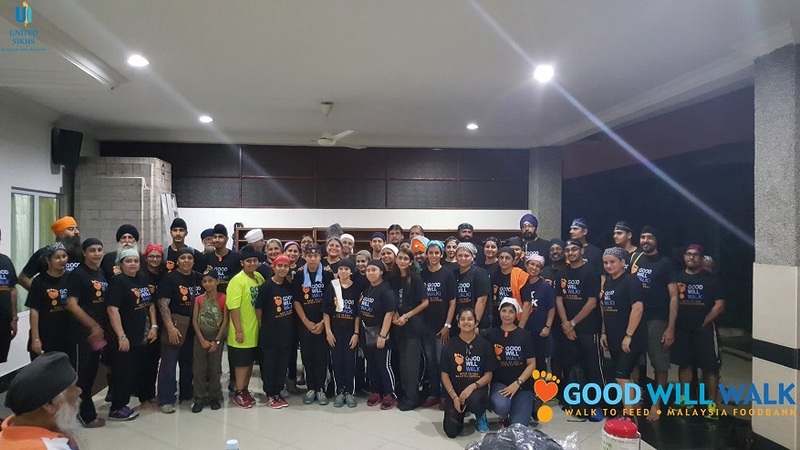 We walked 300 km in 6 and a half days - Raising approximately RM 20,000 in cash and kind for the Gurpuri Childrens Home and the UNITED SIKHS Kashmir Flood Mission. 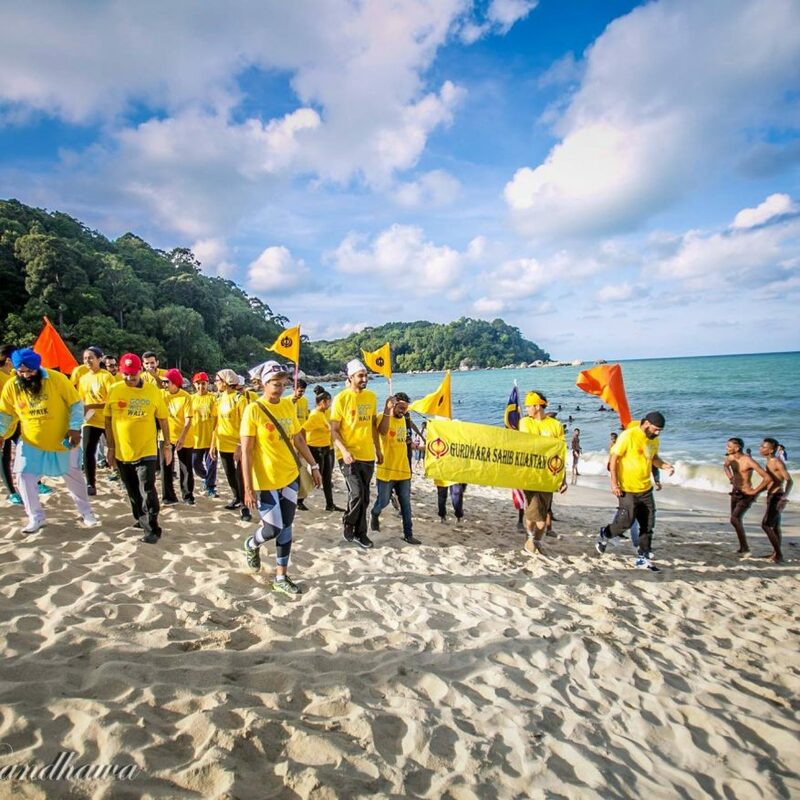 GWW2015 - From 19 April 2015 - 23 May 2015, 15 walkers joined by thousands along the way took 34 days to walk more than 789 km from the northern most point of Peninsular Malaysia - Wang Kelian, Perlis all the way to Historic Melaka raising more than RM 130,000 which fed almost one thousand homeless people for a year every Friday in the center of Kuala Lumpur via a soup kitchen called Nanak's Kitchen. 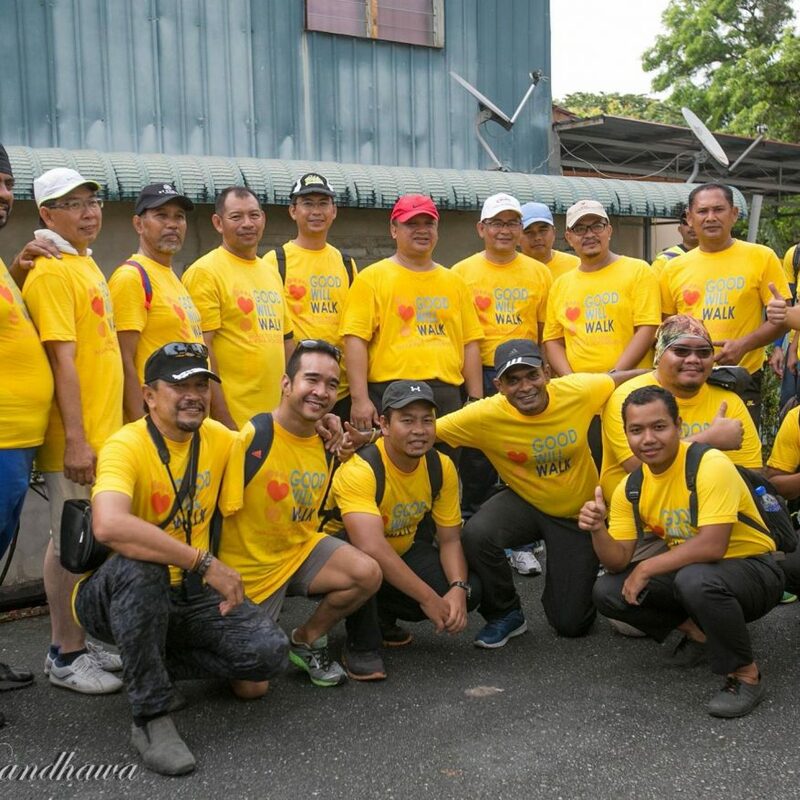 The funds raised from the biggest walk ever in Malaysia, helped to feed more than 300 Orang Asli families of the Temiar Indigenous People, whose heads of each family where involved in the excruciatingly, exhausting day and night Search & Rescue mission for the 7 missing Orang Asli children in Pos Tohoi, in the jungles of Gua Musang, Kelantan. 2 children were found barely alive on the 46th day on the 9th of October 2015. Till today, the Orang Asli leaders tell us that because we fed the 300 families of the trackers for more than 2 and half months, they were able to keep searching without worrying about the livelihood of their own families. 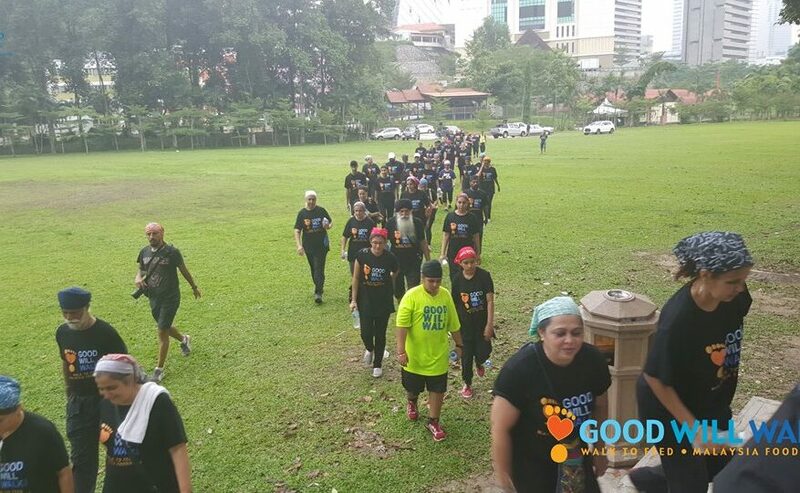 GWW2016 - The iconic Good Will Walk in 2016 became a series of weekend mini walk held all over Malaysia. Where we discovered more people could walk with us on the weekends in turn helping us raise more funds without having to walk massively long distances. 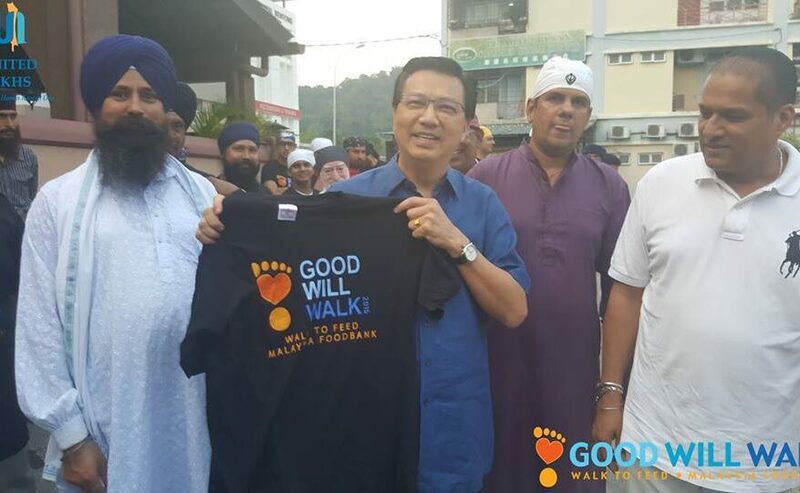 This was also the first time in our GWW history that a full government minister, YB Dato' Seri Liow Tiong Lai the MP of Bentong, MCA President, Cabinet Minister and Minister of Transportation of Malaysia walked with us in the GWW Bentong. The series of mini walks starting in Kuantan moving on to Bentong, Klang Valley, Petaling Jaya, Shah Alam, Setia Alam,Klang and eventually culminating in the 100km direct six day walk from Mantin to Melaka with immense support of Gurdwara Sahib Tampin congregation allowed us to raise a total of more than RM 70,000 with more than 800 people walking with us in total. 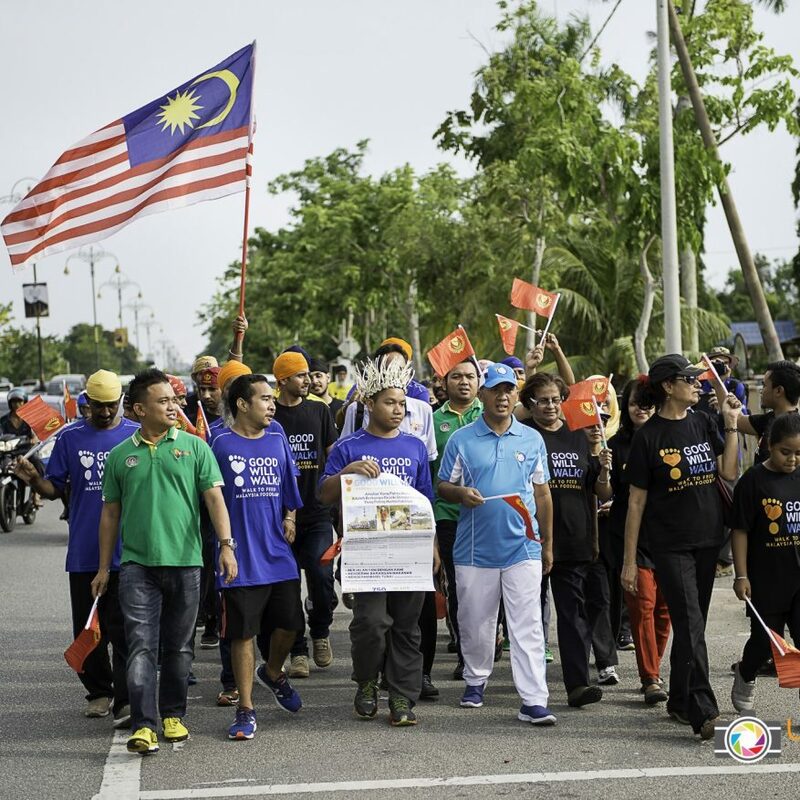 We had an amazing launch of our Good Will Walk 2017 in Perlis with the future King and Queen of Malaysia ie the DYTM Tuanku Raja Muda of Perlis and DYTM Tuanku Puan Raja Muda of Perlis who gave us an immense boost by taking a personal interest in this walk from the Royal Palace of Arau all the way to Gurdwara Sahib Kangar. 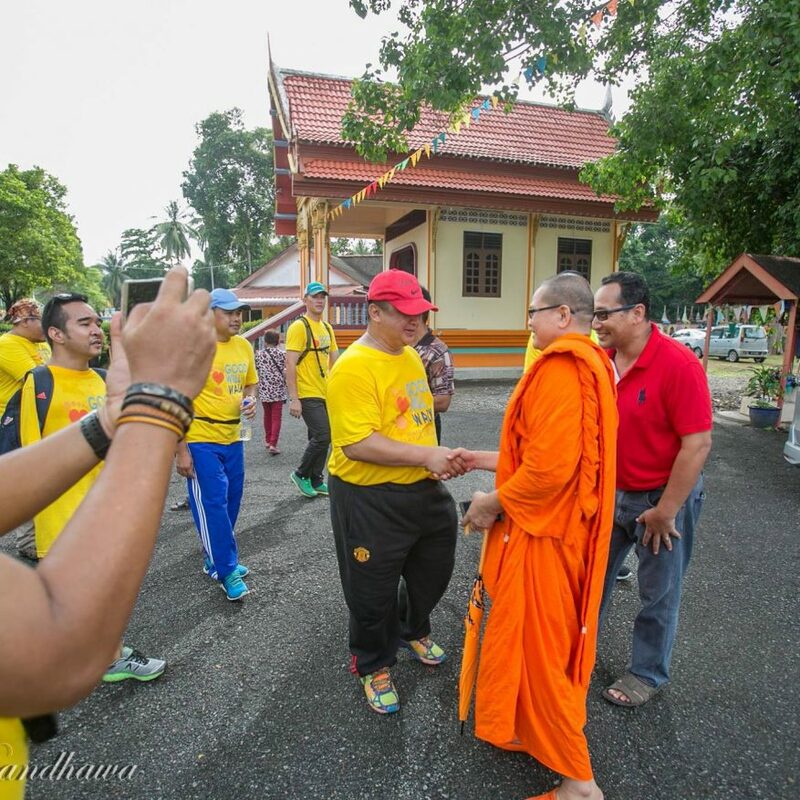 This 4 hour, 10.8km walk with all races was also graced by the top Pengarah's (Directors) of the States of Perlis including the OCPD of Kangar, who surprised us all when he became translator for the Thai Buddhist Monks as we stopped over in a Thai Monastery en route, this walk was very special as walkers of all races and religions were able to go into Muslim, Buddhist and Sikh places of workship and learn more about each others beliefs. 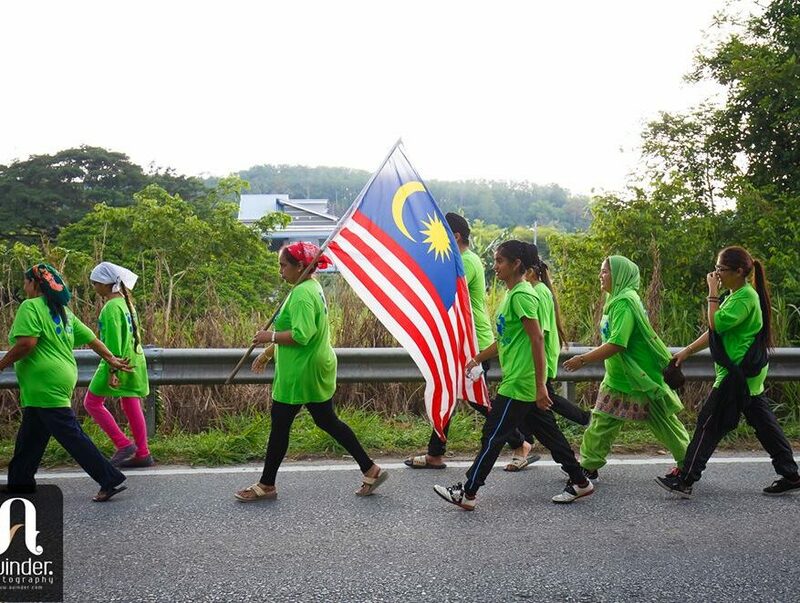 So far, we raised RM 7,000 in the Perlis Walk thanks to the walkers who donated RM50 each for our T-Shirts. 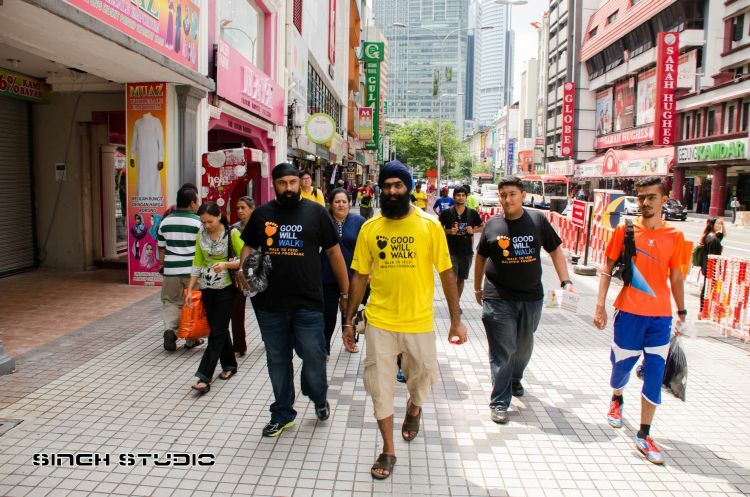 More than 50 people walked 7km with us from Teluk Chempedak to Gurdwara Sahib Kuantan helping to raise more than RM 2,500.
and even in different parts of the world championing different issues close to our supporters hearts. 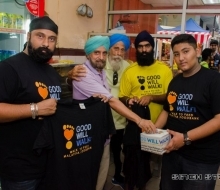 The Good Will Walk brand has grown over the years and has meta-morphed into a single event that traverse's different denominations within a region and still manages to pull support based on the projects and missions the organizing NGO's are spearheading. To date the many Good Will Walks, the many humanitarian aid missions like Kelantan Flood Relief, Myanmar Flood Relief, Kashmir Flood Relief, Nepal Earthquake, Peshawar Earthquake Relief and the many individual cases that we deal with hands on, in Malaysia has managed to raise close to half a million ringgit for these various causes, which is only possible due to the unwavering support of the Malaysian community at large! 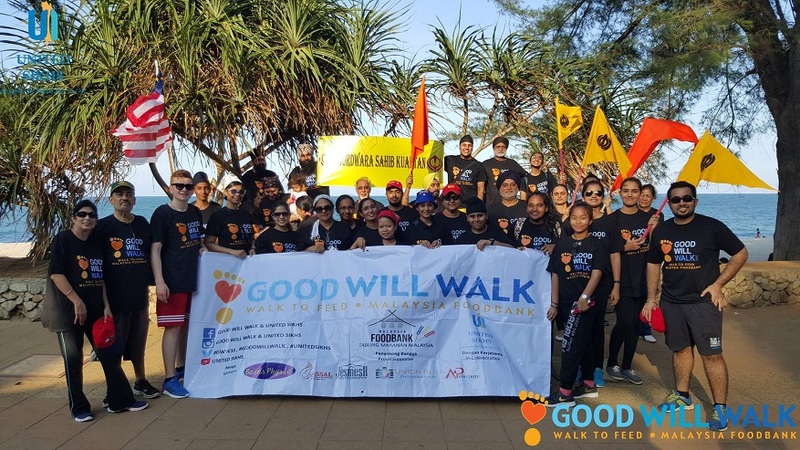 Good Will Walk, where the 'Good Will Walk' is an exciting event that many business's and other NGO's want to be a part of simply due to its power to pull a huge and diverse range of people to its walk. So what are you waiting for? COME JOIN US NOW! 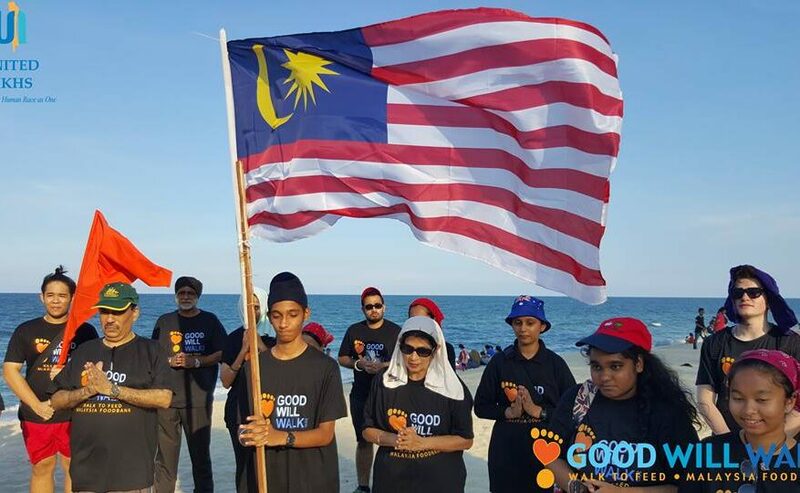 Malaysia Needs your participation in the Good Will Walk now more than ever MALAYSIA NEEDS YOUR PARTICIPATION IN THE GOOD WILL WALK NOW MORE THAN EVER. WALK AND SPREAD THE MESSAGE OF KINDNESS, HUMILITY, RESPECT & COMPASSION. 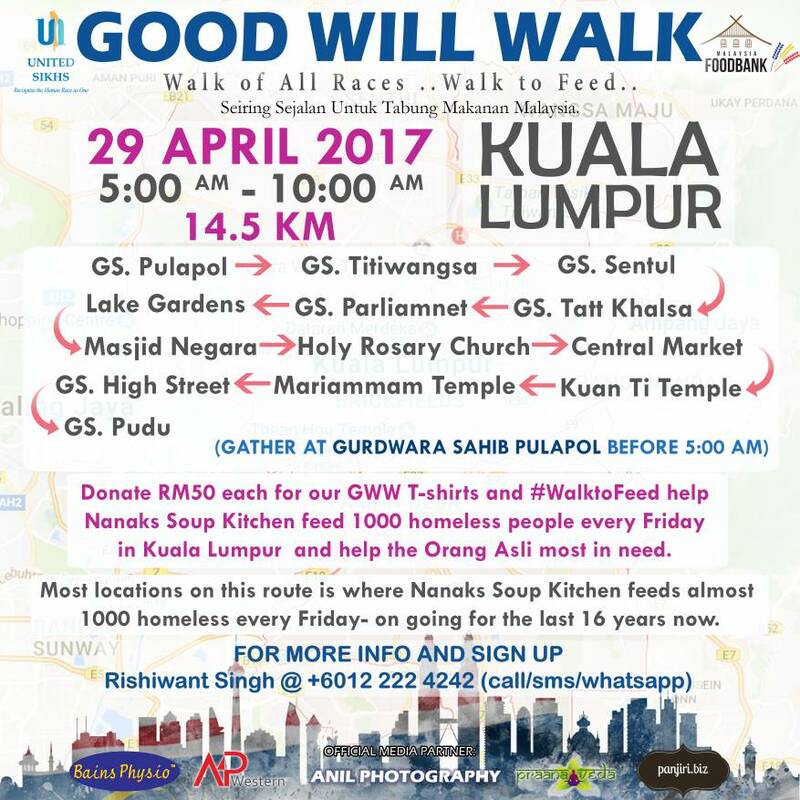 Kudos to the participants and support team of the Good Will Walk 2015 who have just completed Day 3 and will be embarking on Da .. 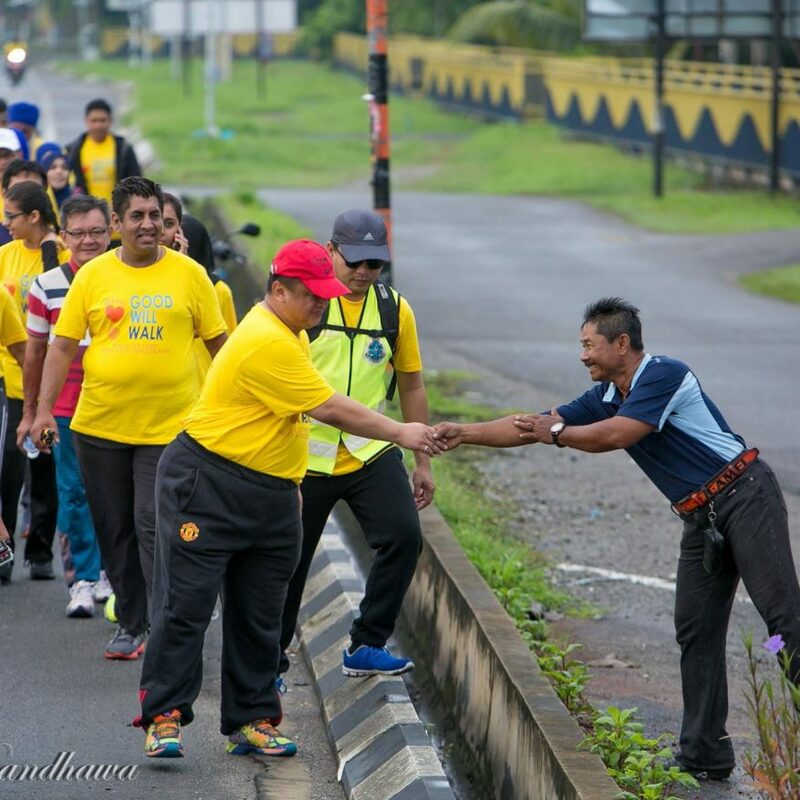 Youth without hands goes on 750km charity walk programme ALOR STAR: Being born without hands does not deter his spirit to contribute to the nation just like others who are not physically challenged. 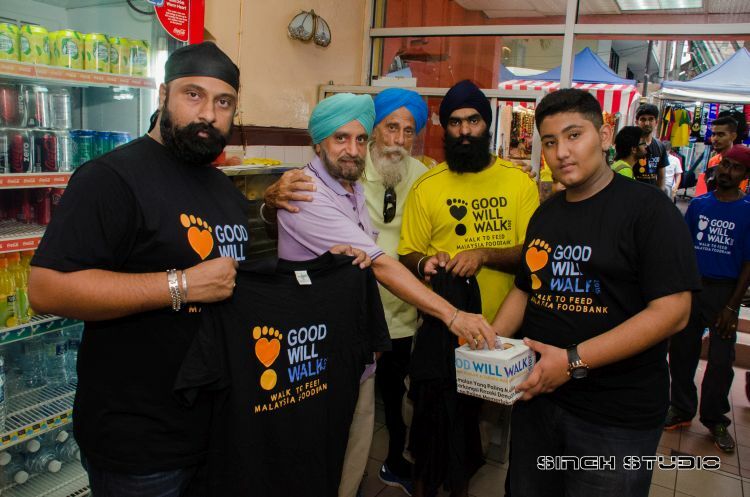 With sheer willpower to help others, Muhammad Zhariff Afandi, 34, together with his 20 friends from different backgrounds would be walking ..
‘Good Will Walk’ to set up first Malaysian food bank Kuala Lumpur, Malaysia | Asia Samachar | 18 April 2015 United Sikhs (Malaysia) had a media launch of its Good Will Walk on April 17 to create awareness about food poverty and to collect food and funds for the first Malaysian Food Bank. 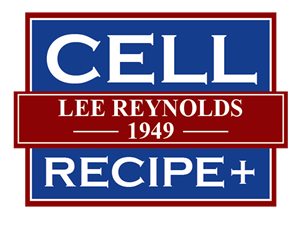 A team of 10 walkers will be joined by celeb .. Walking for good will KUALA LUMPUR: Following the devastating floods that hit the northern region of Malaysia, in what many label as the worst natural disaster that has hit our shores at the back end of last year, it was a gargantuan task to get vital necessities like food and water to the folks that ..
Good will walk – http://switchup.tv/ “I may not have arms but my legs are strong. 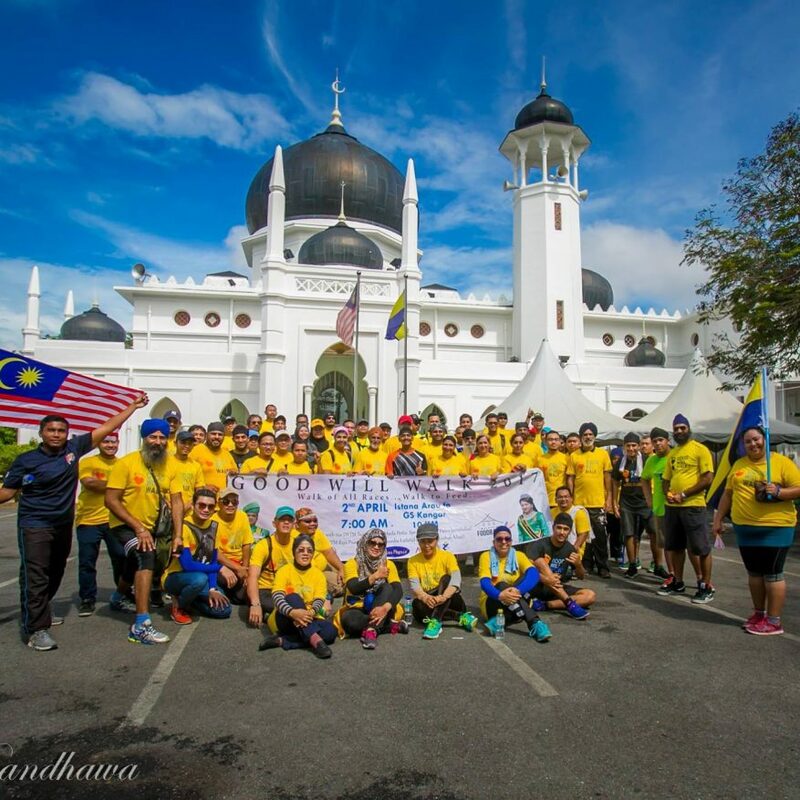 I will walk 750km for the homeless,” says Zhariff Afandi. He will join the Good Will Walk to raise funds. 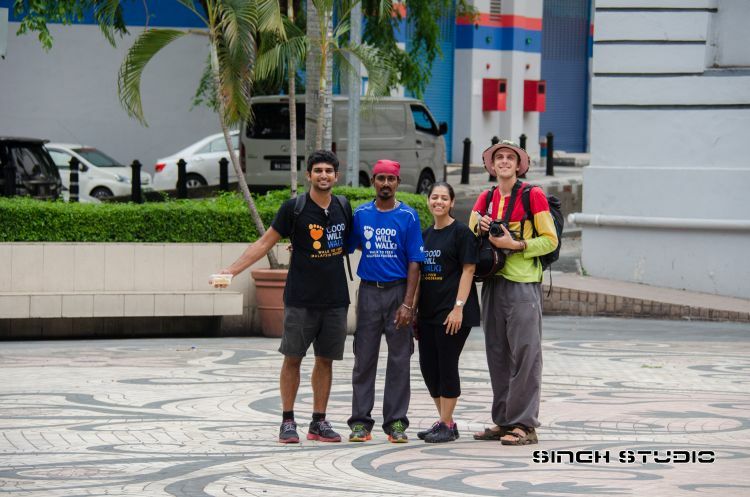 Source: http://switchup.tv/View.aspx?vid=13091&cid=1 Украина новости ..
Good Will Walk hopes to break barriers of unity while collecting funds KUALA LUMPUR, April 16, 2015: What started as a simple and noble idea to help feed the homeless in Malaysia has turned into one with unity at the core of the Good Will Walk that commences on April 19. 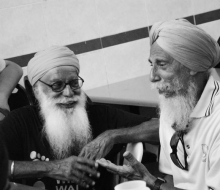 Initiated by the United Sikhs, an affiliate of the United Nations (UN), the wal ..
Good Will Walk to fund Malaysia Foodbank project KUALA LUMPUR: Zhariff Afandi (pic) was born without hands, but that has not stopped him from living his life and doing things that not many others would have done. Zhariff, 34, goes trail running, scuba diving, horse riding and has even participated in the 6.5km Pulau Kapas-Maran ..
DS Hishammuddin Hussein Support Good Will Walk We thank Hishammuddin Hussein for the support n confidence in‪#‎UNITEDSIKHS‬ Malaysia Humanitarian Aid Organisation which is organizing the ‪#‎GoodWillWalk‬ Perlis to melaka April 19 to 23 may..launch of the first ever Malaysia Foodbank. 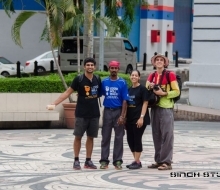 ..
‘The Flying Singh’ walks again to raise funds for the needy KUALA LUMPUR, March 10, 2015: On a drive one day, Rishiwant Singh noticed a troubled foreign woman talking to herself along Jalan Pudu. 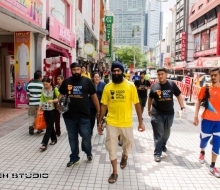 Seeing the distraught woman, the United Sikhs humanitarian aid coordinator decided to take her in to his home and provided her shelter be ..
‘The Flying Singh’ walks again to raise funds for the needy KUALA LUMPUR, March 10, 2015: On a drive one day, Rishiwant Singh noticed a troubled foreign woman talking to herself along Jalan Pudu. Seeing the distraught woman, the United Sikhs humanitarian aid coordinator decided to take her in to his home and provided her shelter before sh ..
After 4 year of walking, we finally have our own app to register and donate in own community network. Download and share it with your friend. 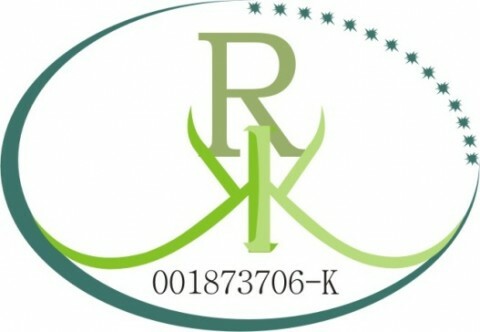 Contact Us – REGISTER NOW!